About 18 months after arriving in Humboldt County amid much fanfare, PenAir sent out a press release shortly before 7 p.m. on Aug. 7 announcing it was shuttering its route from Arcata/Eureka to Portland. Some 72 hours later, its last plane had departed the airport in McKinleyville and the airline had filed for Chapter 11 bankruptcy protection, looking to end its flights into and out of Crescent City. "The steps we are taking today will allow PenAir to emerge as a stronger airline, while continuing to focus on safe operations," PenAir CEO and Chair Danny Sybert says in a press release. 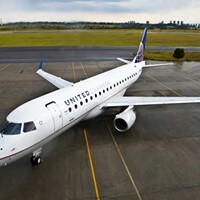 The move leaves United, once again, as the last airline standing in Humboldt County, limiting the routes and schedules available to customers, and potentially driving up costs. 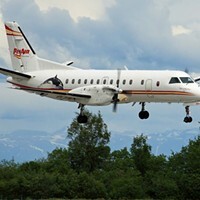 It will, however, have little impact on the local workforce, as PenAir spokesperson Missy Roberts says the company only has one local employee — a longtime PenAir staffer who will have the option of relocating with the company — and contracts others through SkyWest, which has indicated it doesn't expect any staffing changes stemming from PenAir's decision. The stakes are substantially higher up in Crescent City, where PenAir is the only airline service, offering a pair of daily roundtrip flights to Portland. But the small Del Norte County airport also has more protections, as it has the federal distinction of being an "Essential Air Service" airport. That means PenAir can't pull up shop until it gets federal approval and another airline has agreed to service the airport, a process which typically takes at least 90 days. Del Norte County Airport Director Matthew Leitner says he expects the Department of Transportation will soon issue a request for proposals to all air carriers in the nation, seeking bids to take over Del Norte's air service. The airport's EAS status means its airlines get federal subsidies to service the market, which makes it a sought after contract for most airlines. The subsidies come from foreign overflight fees, or tariffs placed on foreign flights that pass over U.S. airspace — like, say, a flight from Havana to Toronto. The whole idea, according to Leitner, is to ensure that markets that need airport service due to their geographic isolation get it at an affordable cost. Unfortunately for Humboldt County, we don't have that designation and there's no guarantee — and possibly only limited optimism — that an airline will step in and take PenAir's place. The good news is that Humboldt still has a pot of cash aimed at luring another carrier. 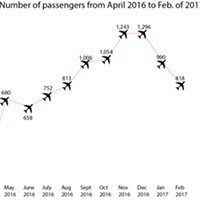 The shuttering of the route represents a relatively stunning turn of events for PenAir, which opened it without demanding a minimum revenue guarantee — the promised revenues that airports in small areas generally offer to airlines in case the companies are unable to fill seats as projected. While that move may represent a bit of irrational confidence on the part of the airline — a local official estimated it costs at least $8 million to start a new route in a new market — it also means Humboldt County still has some money to try to leverage into a replacement option. The group Fly Humboldt has raised more than $1 million in funds to offer minimum revenue guarantees, launch marketing efforts and make improvements intended to recruit new air service options locally. Because that money wasn't spent on PenAir, it's still available. Emily Jacobs, program coordinator for the county's aviation division, says efforts to recruit another airline to Humboldt never stopped and remain ongoing. "We're always interested in more flights to more destinations," she says. "We've already been in contact and talking with airlines, and will be meeting with some in October." But for the time being, those going commercially airborne out of Humboldt will do so on United flights to San Francisco. And that has a bit of a potentially reverberating impact, from the airport's grounds crew to Ramone's, which recently opened a café there. Jacobs says United is adding another afternoon flight to San Francisco — sporadically this month and then daily in September — which will fortunately help offset the loss of PenAir. 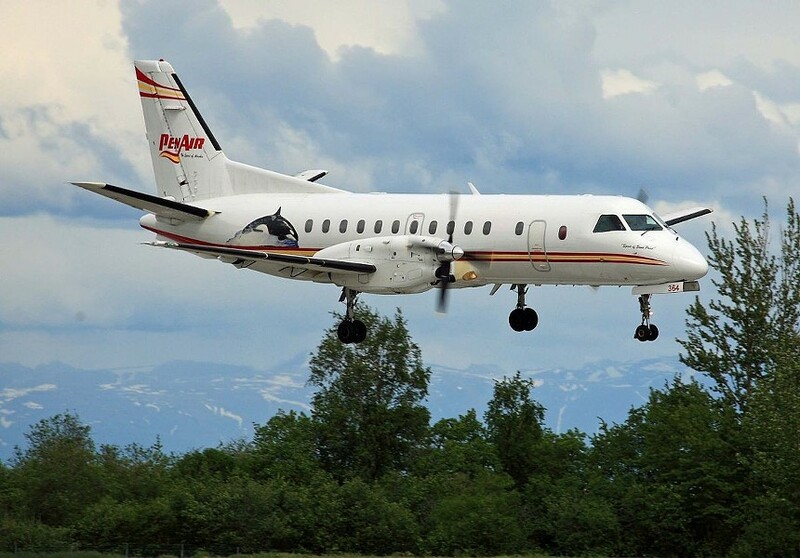 PenAir, meanwhile, will continue operations in eight destinations in the Alaska and Boston areas, presumably because they remain profitable, as it enters bankruptcy proceedings and looks to reorganize as a company. Founded in 1955, PenAir is one of the largest family-owned airlines in the United States, with 700 employees nationwide.